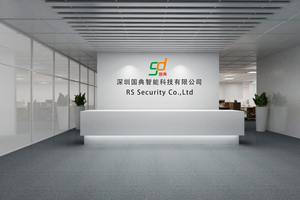 RS Security Co.,Ltd, based in south of China, Shenzhen, founded in 2008. Over these years, we have been devoting ourselves to the manufacturing ,development and selling of pedestrian access control devices, such as tripod turnstile,swing barrier,flap barrier,full height turnstile,optical turnstile,glass turnstile and so on, as well vehicle control device, such as hydraulic rising bollards, hydraulic road blocker and barrier gates. Due to many years accumulation, we have got the most advanced technology in access control filed and many talented people working for RS Security. RS Security has a wide distribution network in mainland, spread all over 23 provinces, and has served over thousands of customers. In addition, RS Security has been pay attention to oversea business. So far, we have worked with clients from 80 different countries, including USA, Canada, Norway, Sweden, Spain, Italy, Austria, France, Germany, Slovakia,, Dubai, Qatar, south Africa, Nigeria, Niger, Congo, Ghana, Cameroon, Brazil, Chile, Mexico, Costa Rica Indonesia, , Thailand,Cambodia, Bangladesh, Singapore,Malaysia,and the quantity still keeps increasing. We also provides OEM&ODM service for, different designs. Our reliable products have gained an extensive recognition from customers domestically and abroad. Our products have been certified by the ISO9001,CE in Europe Union , SGS, ROHS, FCC, ISO9001 and the related MA quality inspection of the Ministry of Public Security.In conclusion, our company is committed to provide you with our best-quality products, most advanced technology, most sophisticated craft work, most convenient after-sale services and most competitive prices!